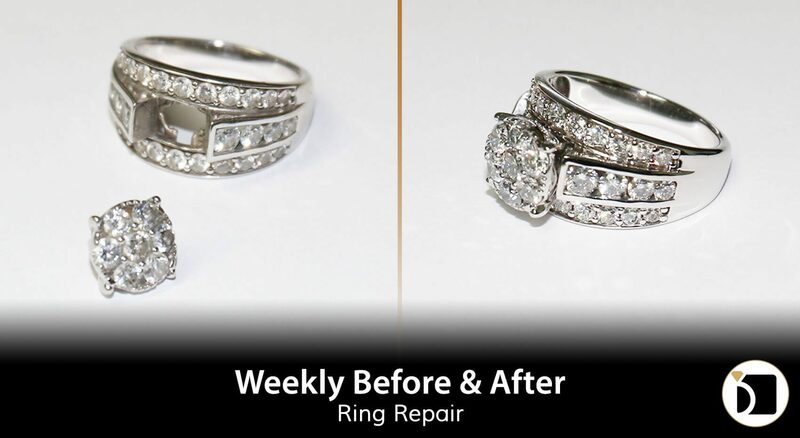 On this edition of the Weekly Before & After, we have a 14kw white gold ring that had its head piece broken off. For this repair we had to solder the head in place precisely. This is followed by our signature rhodium clean and polish. It is then all wrapped up by having our quality assurance team review the ring and ensure the ring is in tip top form.